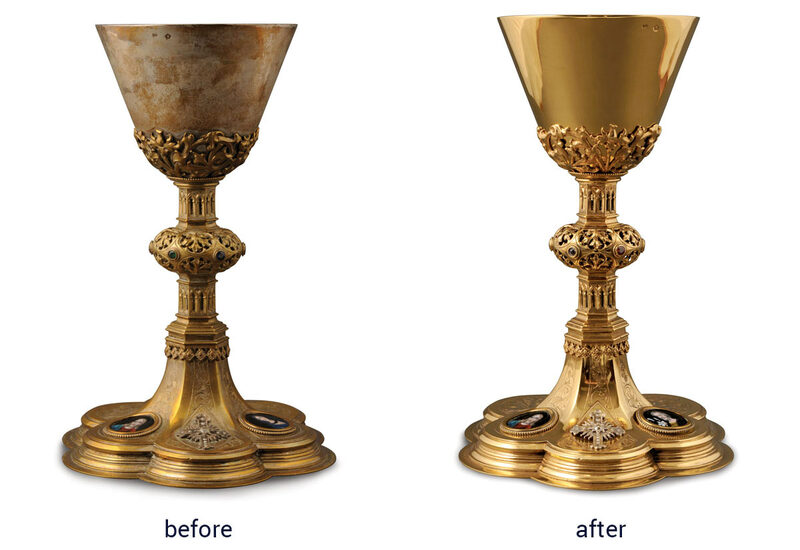 For a number of years Charles Farris has undertaken restoration projects for cathedrals, abbeys and churches of silverware, brassware, altar frontals,vestments, woodware, pews and glassware. 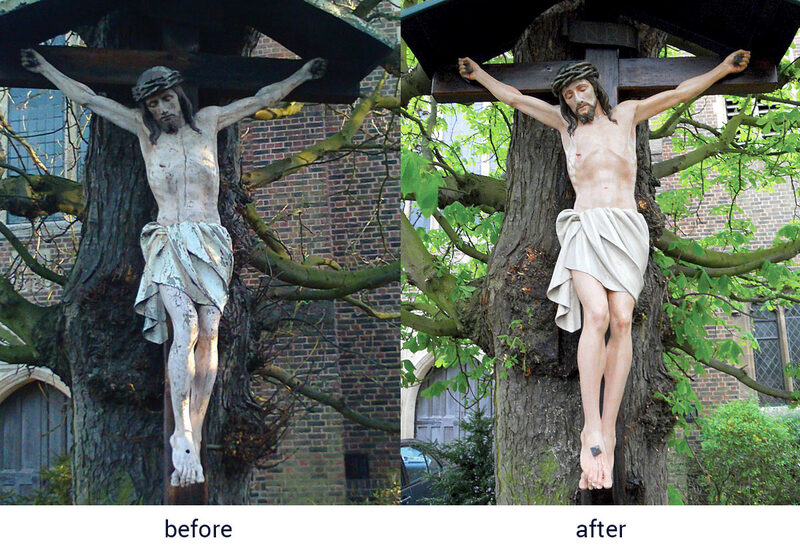 The service now also includes the hand cleaning & repair of banners, vestments and altar frontals. 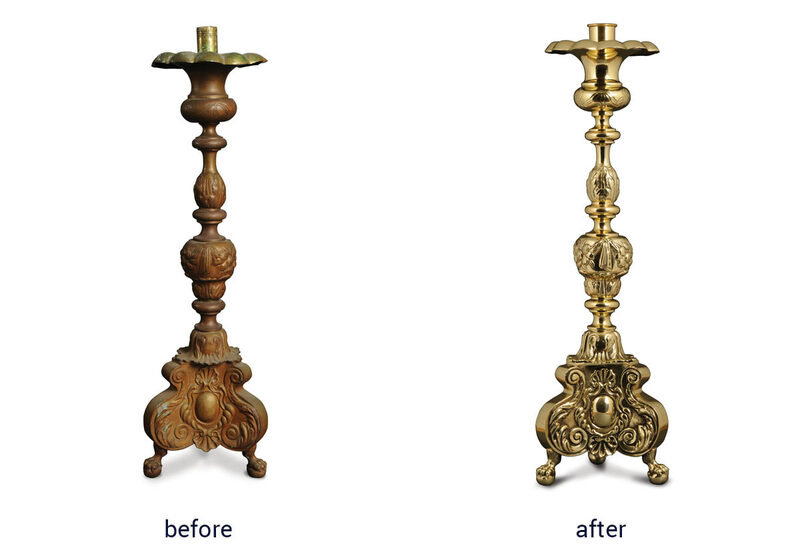 Our expert staff would be pleased to advise on any requirement from a simple repair to a more complex restoration. 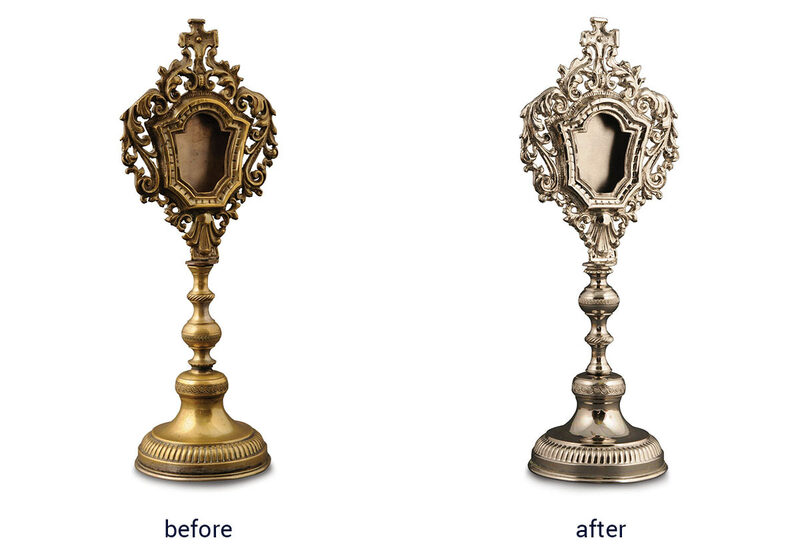 We will arrange a fully insured collection and return. 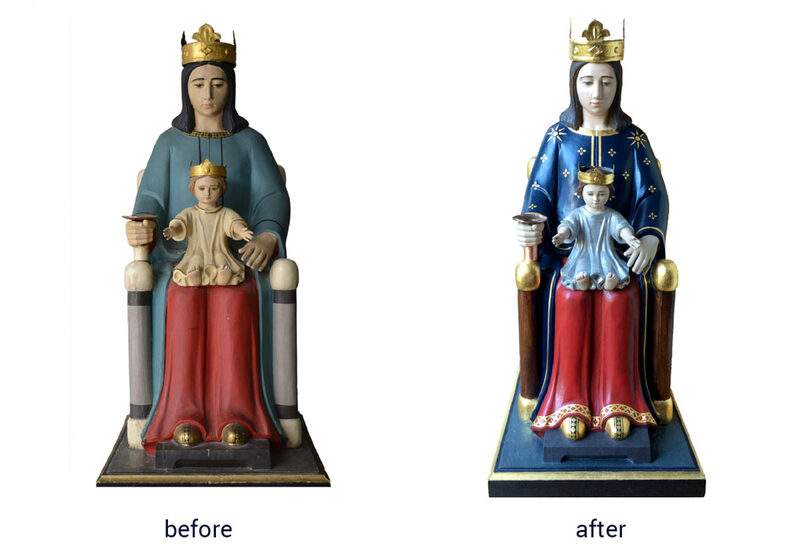 Remove existing paint finish, fill in cracks and holes, repaint, adding gilded embellishments to robes, and finish with a soft sheen wax. Remove enamel and cross to clean separately, remove bowl and make true. 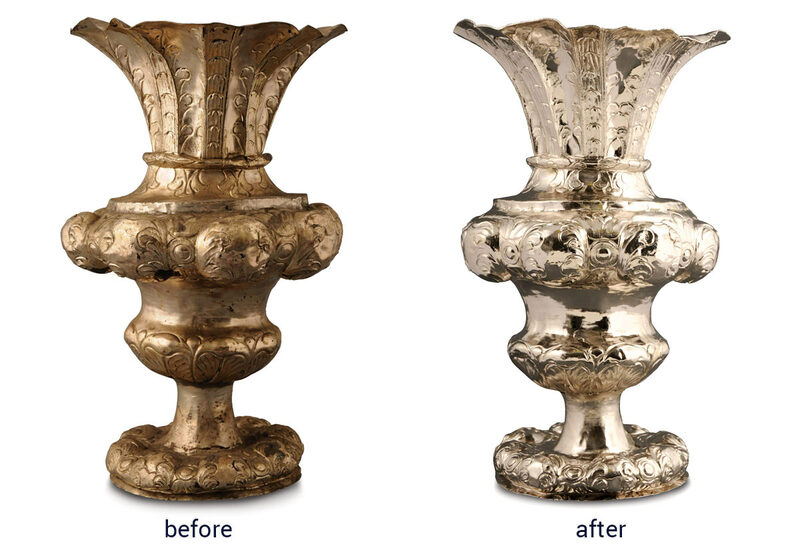 Hall marked Silver Flower Vase 20"
Make good and true both the base and lip, remove dents, polish and lacquer.